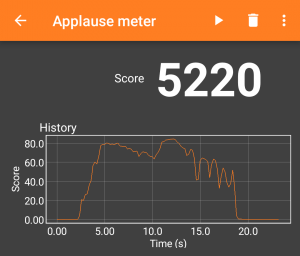 Scores varying across different phones, so you should use the same phone to judge all contestants. Do not place the phone too close your audience as close sounds register much louder. Often a place quite central on stage is a good choice. Always evaluate the applause from the same place and orientation of the phone. The score will be proportional to the integral of the RMS of the recording. 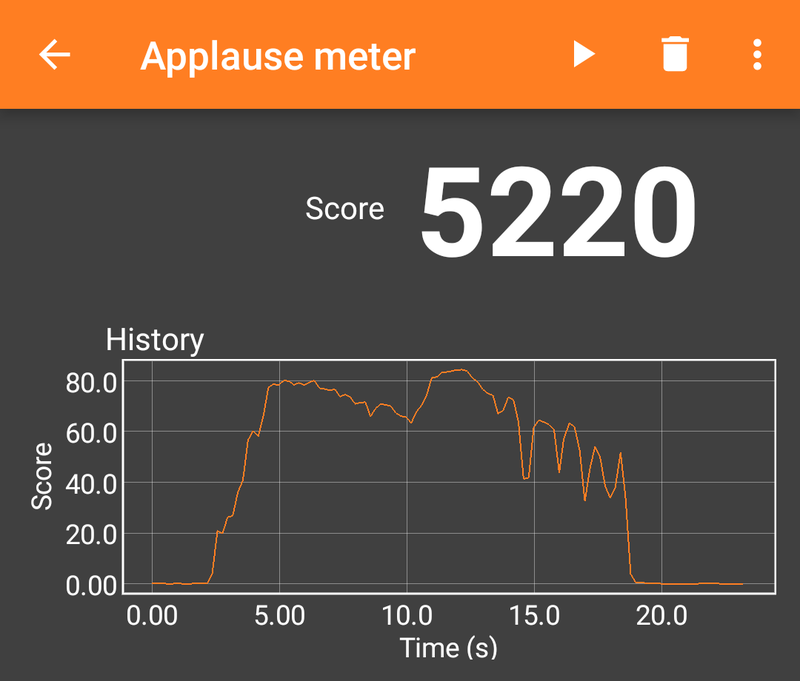 In other words, you will get higher scores for louder and longer applause – It adds up continuously at a rate that depends on the volume of the applause.